The principal aim of Forex market is to make profits from the position via the buying and selling of different currencies. 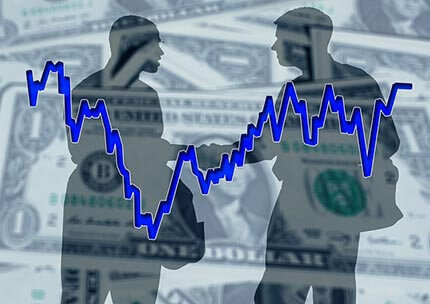 A Forex transaction is said to be complete when one currency is bought and another currency is sold simultaneously. The value of one currency is compared to another while working with currency pairs. The long position and short position are one of the frequently stated foreign currency definitions. A situation can be termed a long position where one pays a certain price to buy a currency pair hoping to sell it at a higher price in the future. The long position is referred to the belief of “purchase low and sell high” when it comes to other trading markets. When one particular currency in forex is going up in value, there will also be a decline in another currency. It works both ways for the two currencies. In case a trader believes that there will be a fall in the currency pair, then this pair will be sold. The trader will hope to purchase it back at lower price. The second case is a considered a short position. Any Forex trader in every exchange maintains long position on one particular currency and short position on other currency. The trader defines the position as the expression of traded pair’s first currency. In a pair of currencies, the first currency is termed as base currency. The counter currency is the pair’s second currency. When the base currency is bought by the trader, that particular trader takes long position on pair. In case the trader sells base currency, the pair is shorted. To understand, it is important to decipher Forex charts. The movement of currency prices is measured by number of pips. The movement of currency through every pip equals a specific quantum of loss or benefit in the real currency. It is applicable on every deal. The pip value changes frequently as per the currency being traded. The pip value will stay constant only if among the currency pairs, the US Dollar is the quoted currency. The USD must also be listed as second in pair. You can calculate the gaining or losing amount on particular trade by first setting up the pip value. The value should then be multiplied with the quantity of pips a currency has varied against or for the position from the start of trade. It means that if it is believed that there will be an increase in base currency against quote currency, there will be a benefit when each pip goes above the buying price. It can happen the other way too. You will suffer monetary losses when every pip is seen to be lower than purchased price. Lot is described as contract amount that a brokerage firm or bank permits currency for trading. Brokerages generally offer two kinds of accounts: Mini and Standard. The standard lot size comes to $100,000. Mini lot sizes come at $10000. The broker consequently uses leverage to take control of $100000 using only $1,000 as margin in an account. Smaller $10000 lot sizes can be managed with he margin of only $100. However, such situations require a minimum deposit.